Hi everyone. Travis back with more Tampa Bay Entertainment options...and this one is especially historic and educational! It&apos;s taking place at one of Tampa Bay&apos;s most important places - the Tampa Bay History Center. 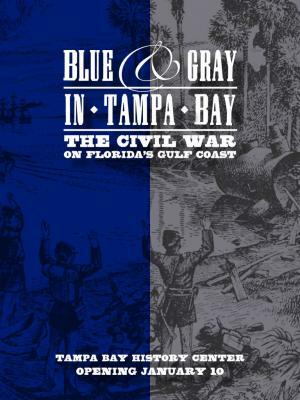 Now visitors can explore Florida’s little-known Civil War history during Blue and Gray in Tampa Bay: The Civil War on Florida’s West Coast, which is currently on exhibit through May. The third state to secede from the Union in 1861, confrontations between Confederate and Union troops raged along Florida’s Gulf Coast. You can learn about stealthy Confederate blockade runners and Florida’s “Cow Cavalry,” plus find out how the War Between the States affected Secessionists, Unionists, slaves and women in the Tampa Bay area. In addition, the History Center will feature the traveling exhibit Florida in the Civil War from the Orange County Regional History Center. Until then, keep checking back for more Tampa Bay area events and things to do in Tampa Bay.